What should the future of high street banking look like? We're interested to learn about how you see the future of high street banking, and we've opened a pop-up research hub in the centre of Carlisle to find out. The focus of our month-long project is a temporary store on English Street, to use as a testbed for new ideas. 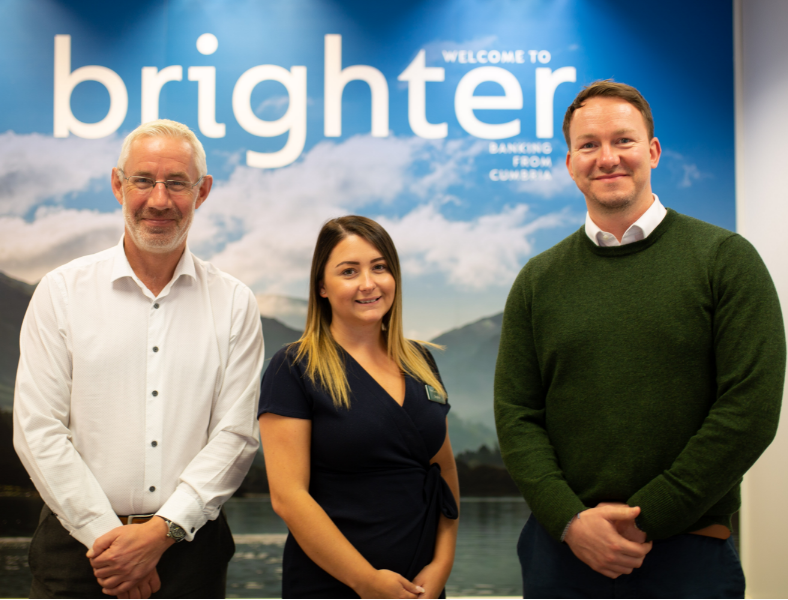 We put our members’ interests first in everything we do, and so we're keen to hear the thoughts and opinions of our customers and the wider public, to shape how our branches might operate in the future. Our Customer Experience Manager, Bob Matthews explains that the research hub will be a chance for local people to offer their ideas, whether they are customers of The Cumberland or not. “This is about giving local people the chance to decide what we are delivering. It’s research about making our branch network more sustainable and how the branches might meet people’s needs in the future.” said, Bob. The research hub - which is situated next door to our existing English Street branch - will be open for anyone to call in to discuss ideas with trained Cumberland staff. It launches on Saturday 13 October and will be open 10am to 4pm Monday to Saturday for 4 weeks.